We’re here to help: Yesterday, today, and tomorrow. In West Texas in 1922, partners J.D. Young, a sheet metal worker, and Frank M. Pratt, a plumber and pipefitter, teamed up to provide reliable HVAC services. When the growth of The University of Texas spurred a building boom in 1929 – while the rest of the nation was struggling through the Depression – Young & Pratt made the move to Austin. Here, we grew our business to include steam boiler installation, piping, plumbing, and sheet metal fabrication to buildings at The University and around Austin. Today, as one of Central Texas’ most established mechanical contractors, Young & Pratt takes “established” to a whole new level. Most of the team of more than 85 trained professionals have worked here for the majority of their careers, with a combined experience in excess of 825 years. 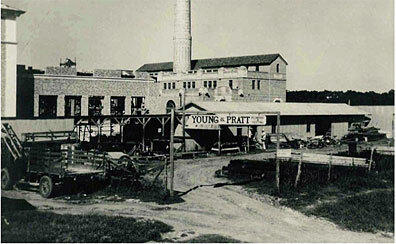 Take a look at some of our past projects, and let Young & Pratt put our people to work for you.